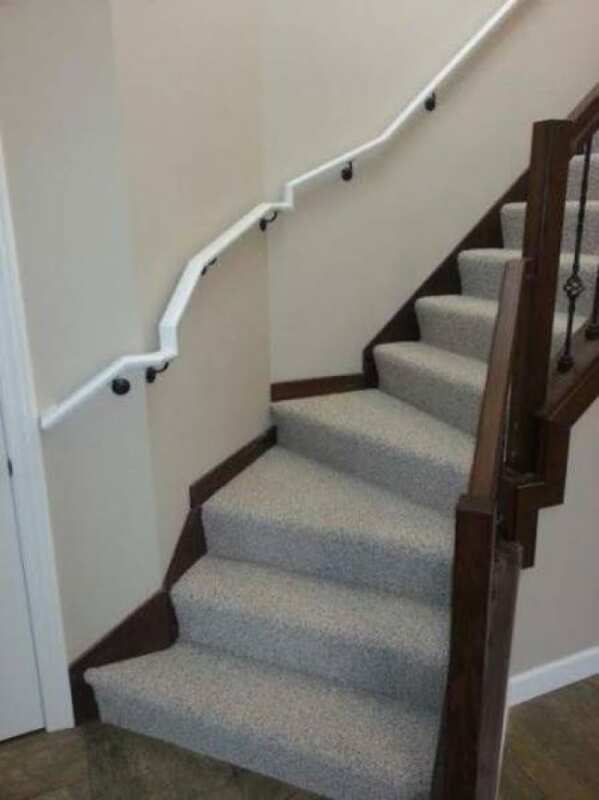 Designing the interior of a home can definitely be a lot more difficult than it seems – and that’s absolutely the case for the hilarious fails we’ve compiled in this list. It’s easy to take all of the simple and straightforward things in our homes for granted, such as the position of light switches or windows. As it turns out, however, not all of these elementary designs are implemented decently. These home designs didn’t really end up being what the designers and homeowners had in mind. The result is a hilarious yet atrocious and unintended mess. There’s no denying that kitchen islands are trendy and useful, but the same definitely can’t be said of ‘refrigerator islands’. The kitchen designer must’ve thought that the large fridge needs a spot too, but the placement is well, less than ideal, to say the least. 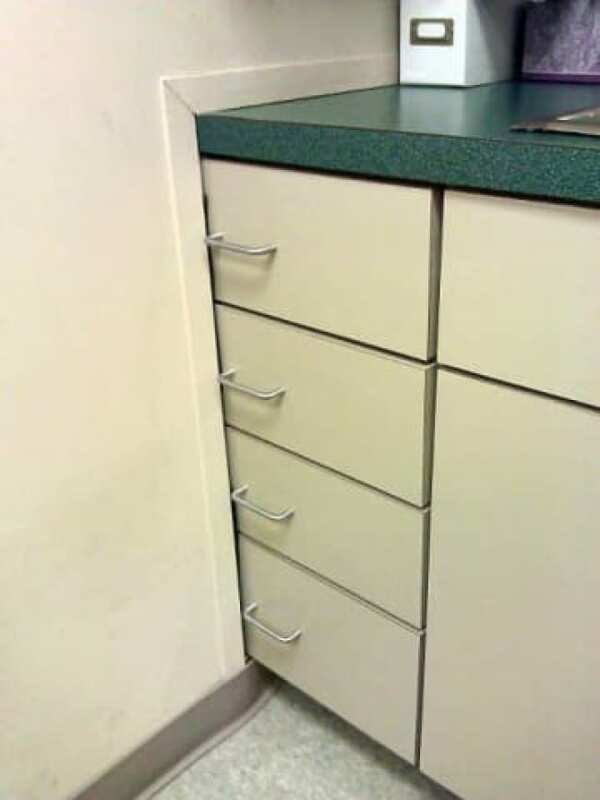 Admittedly, this is more of a ‘lazy fail’ instead of a ‘home design fail’, but it’s a funny sight to see in the house nonetheless. 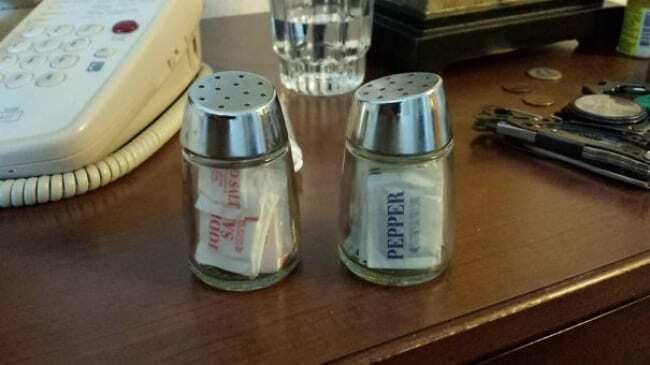 Instead of filling the salt and pepper shakers with, you know, actual salt and pepper, the person who filled them apparently didn’t want to deal with opening up the packages. Understandably so. Stairs and carpet with lined patterns, they don’t exactly go along, especially if it’s the same carpet that’s being used on the regular floor. 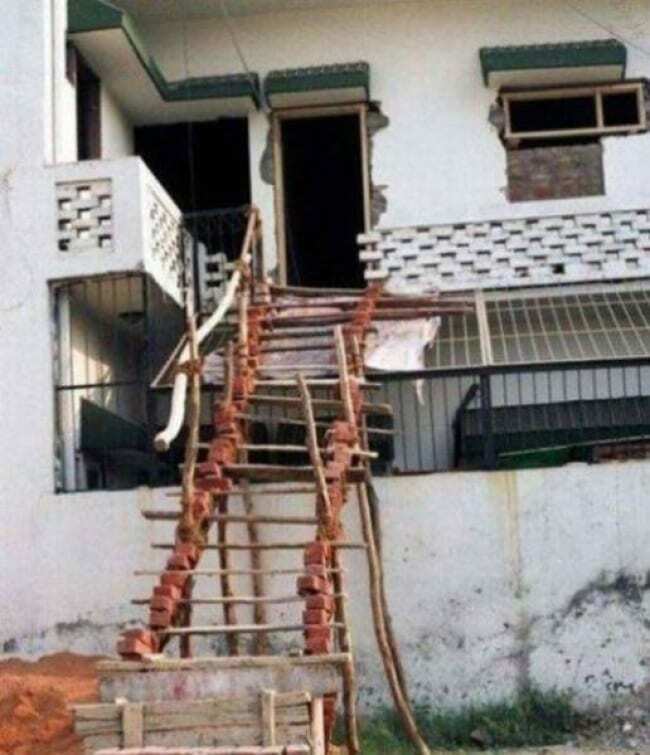 We couldn’t think of a worse pattern to put on these stairs, accidents are bound to happen! 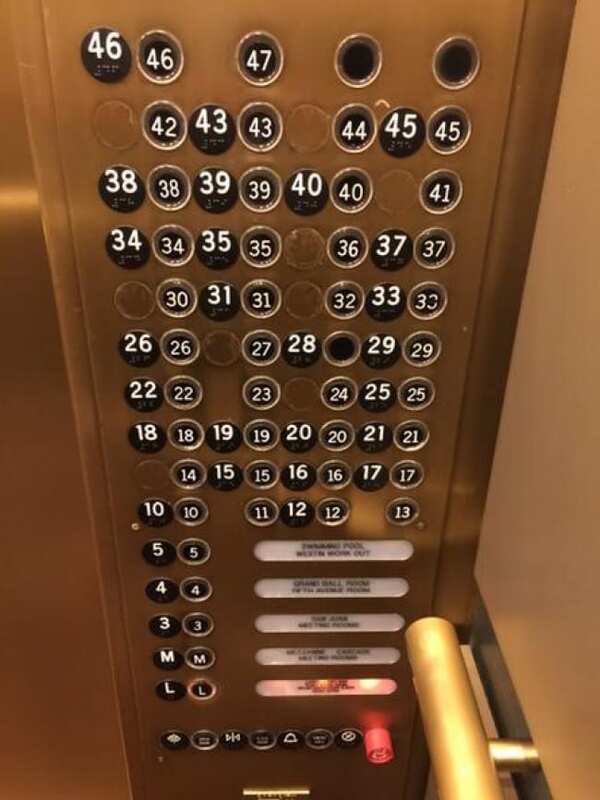 The elevator in this large building seems like a total nightmare to operate – why are there even double numbers and buttons in the first place? 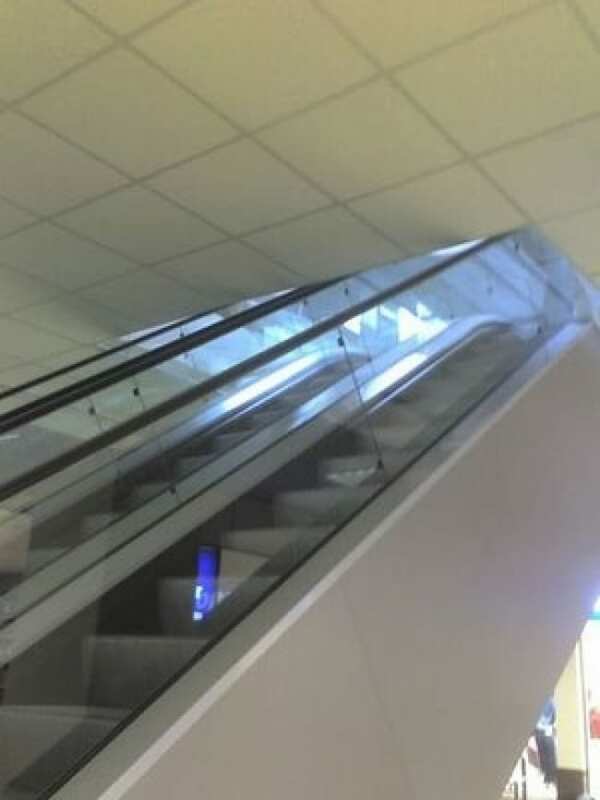 It’s as if the people who designed this purposely wanted people to use the stairs instead. With this amount of floors, that might take a while. 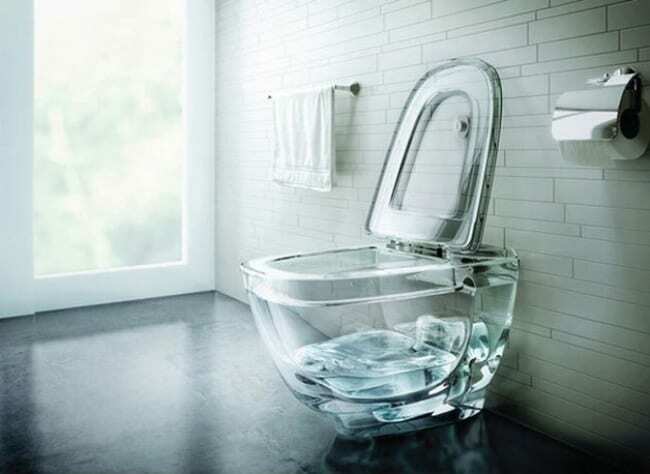 Admittedly, this glass toilet does look pretty cool in promotional photos and it can give the bathroom a clean, light and modern aesthetic. However, the aesthetic look with water won’t always be clean – and transparency in the bathroom isn’t necessarily a good thing. 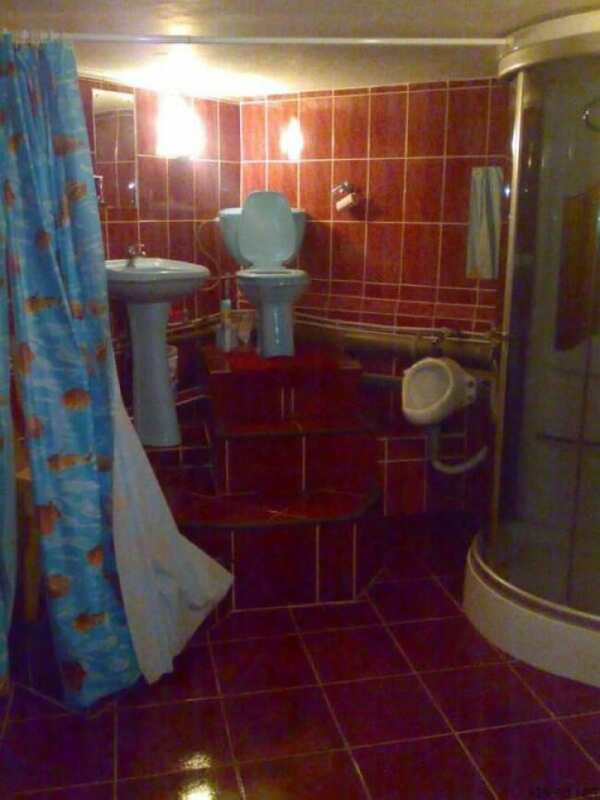 This bathroom has to be one of the weirdest in existence – everything is placed on a sort of pedestal. People actually have to climb stairs to use the washbasin! The true prize at the top is the toilet throne, of course. One of the apartments above this book store definitely makes for quite a unique sight. 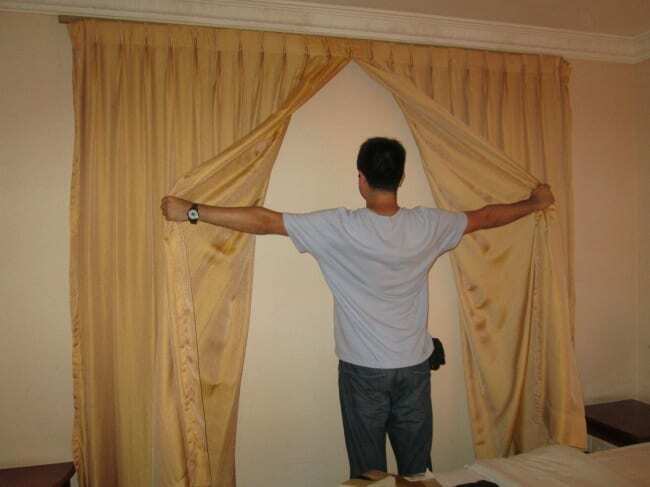 No window? No problem. This broken window was simply replaced by a door, and while it does look a bit weird, it’s better than no window at all. 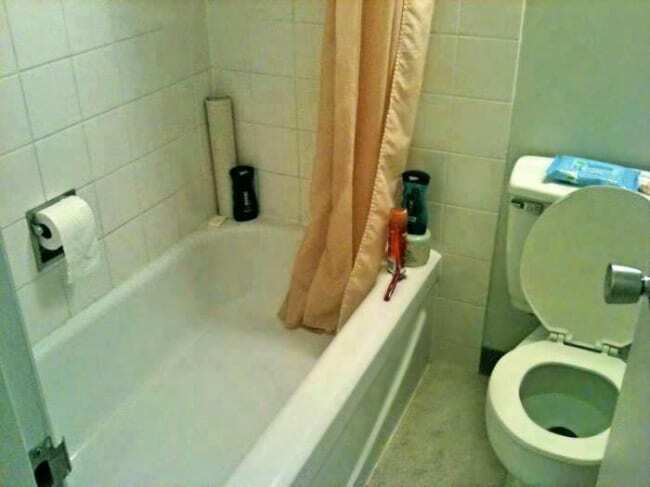 At a first glance, you might think there’s absolutely nothing wrong with this bathroom. Take a closer look, however, and you’ll spot that the positioning of the toilet paper roll is rather awkward, to say the least. The horrible truth is that some items don’t exactly work as advertised. 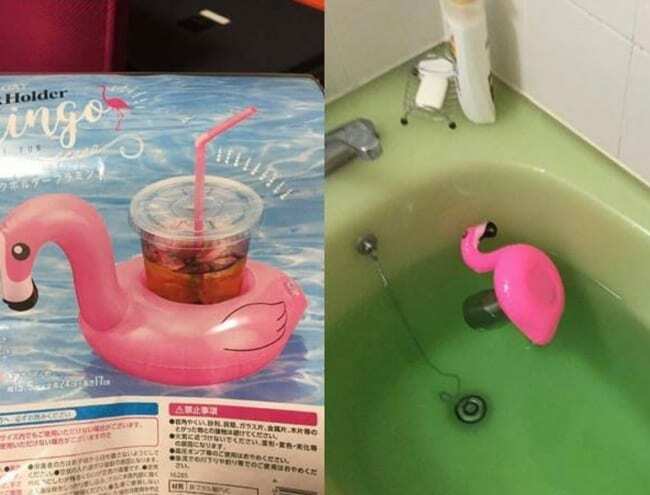 This floating flamingo cup holder from Japan, for example, doesn’t exactly live up to its expectations. It’s supposed to be a fun bathroom item, but it most likely won’t keep your drink out of the bathtub. 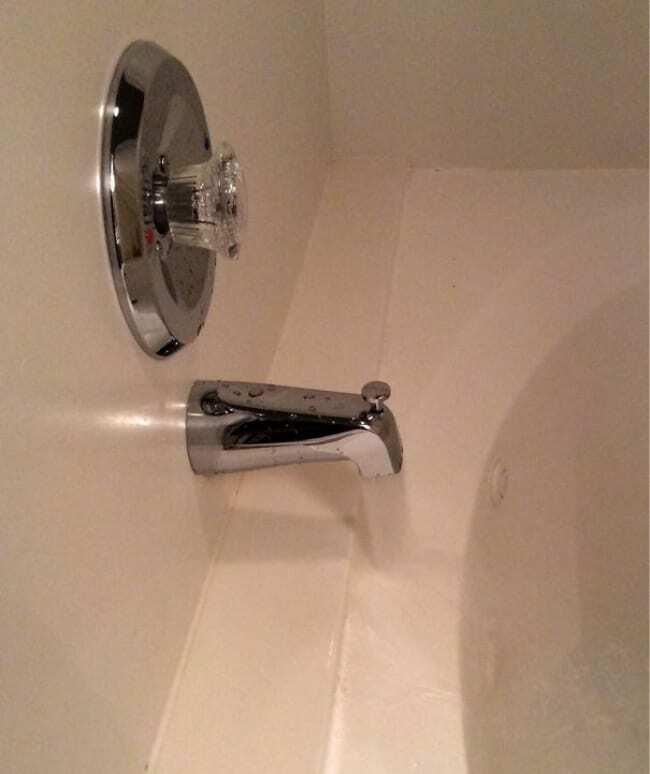 It looks like the people who installed this bathtub forgot one essential thing: the way the water streams out of this faucet. As simple as this task may sound, it’s clearly misaligned in this bathroom which will ensure a wet mess every single time. Oops! “Go home stairs, you’re drunk.” That definitely seems to apply here, because these stairs have a very weird and interrupted design, to say the least. It’s as if someone made a mistake and then did their best to fix it, only making it even worse in the process. 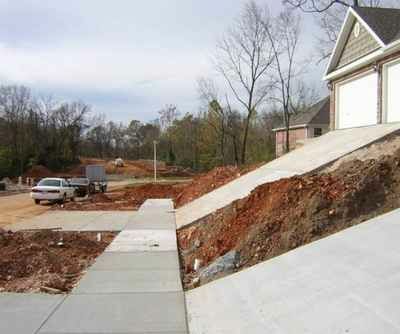 When a home is placed a little higher than street level, a somewhat steep driveway is unavoidable. This one, however, seems to be a lot more trouble than it’s worth. 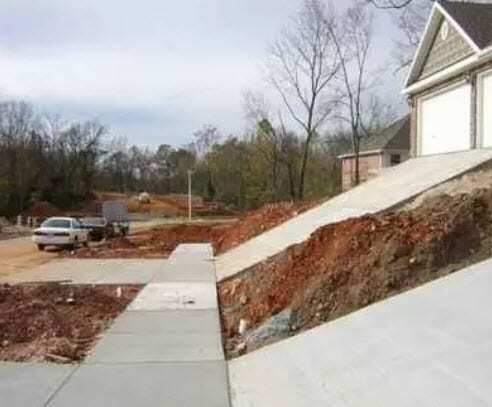 It’s almost as if drivers would have to climb a small mountain simply to get in the garage! Sometimes, trees can grow in some weird places and it’d be a shame to remove or replace them. 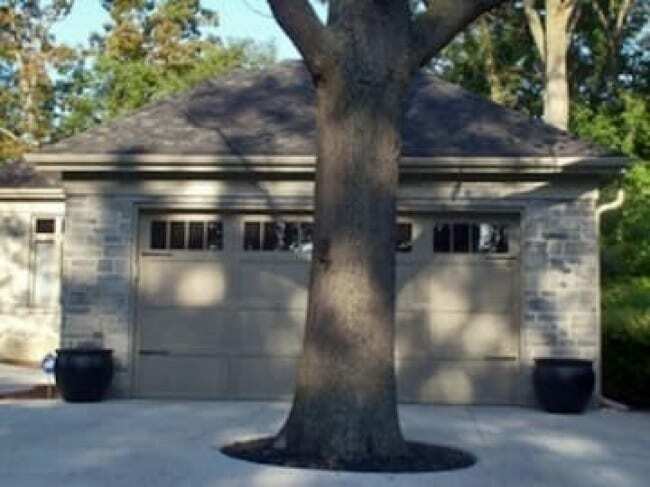 The garage in this home probably doesn’t get used all that often, unless there’s a very small car hidden in there that’s able to drive around this large and majestic tree. 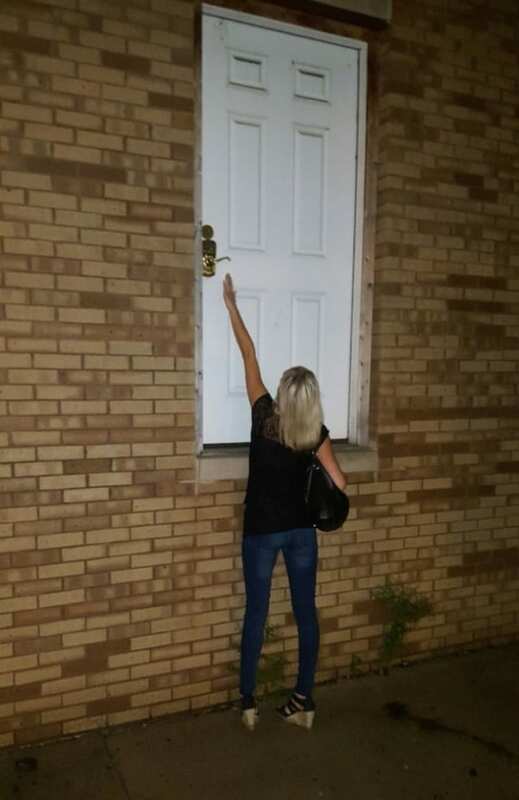 When there’s a door popping up in the middle of a wall – literally – people can’t help but wonder what’s on the other side. Is it a hiding place, or a chamber full of secrets? One thing is for sure: it won’t be that easy to get inside, and you’ll definitely have to watch your step when you leave. 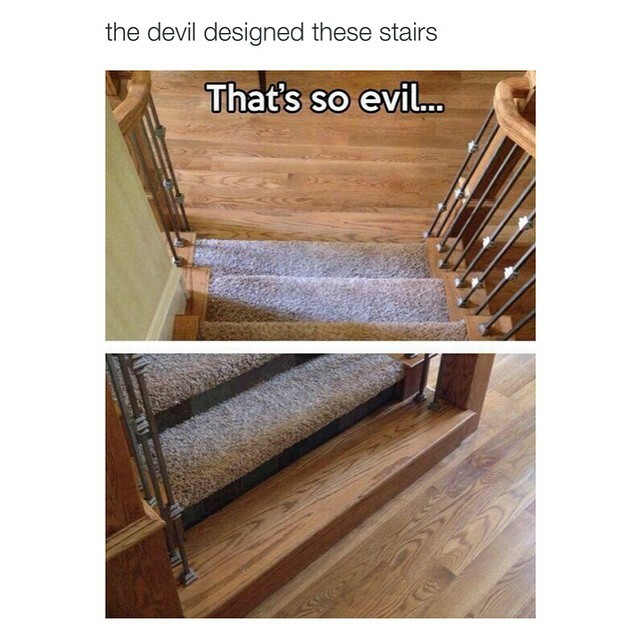 Well, this isn’t exactly home design, but it’s way too funny not to include in this list. 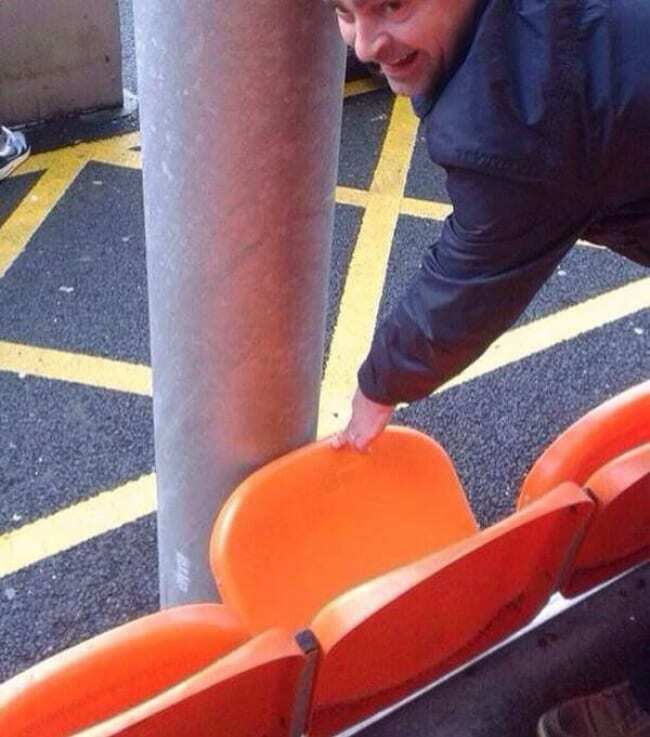 This seat has been permanently taken by this lantern, and it doesn’t look like the pole is going anywhere soon. Should’ve thought of that sooner! It certainly looks like the structural integrity of the makeshift staircase is rather troublesome. This staircase made out of wooden planks and regular bricks is definitely a risky way to get on the top floor, but if it works, it works! Some things don’t get used all that often because they’re quite useless, and this small gate is most definitely one of those things. 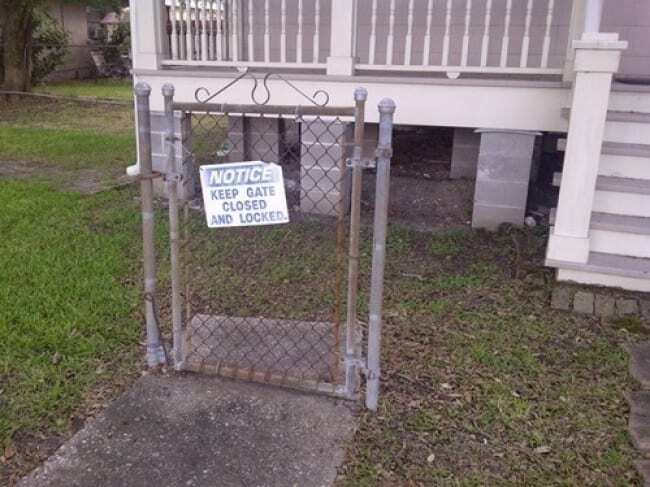 The warning sign clearly says that it has to stay locked and closed, although it doesn’t look like this gate will make much of a difference either way. In the kitchen, some extra room for all the cooking essentials and tableware can definitely come in handy. These kitchen drawers, however, likely won’t be of much use because they’re half-buried behind a wall. Who even remotely thought that this was a good idea? If there’s one thing that’s important in a home, it’s safety. These safety railings, however, don’t seem like they would be of much use. 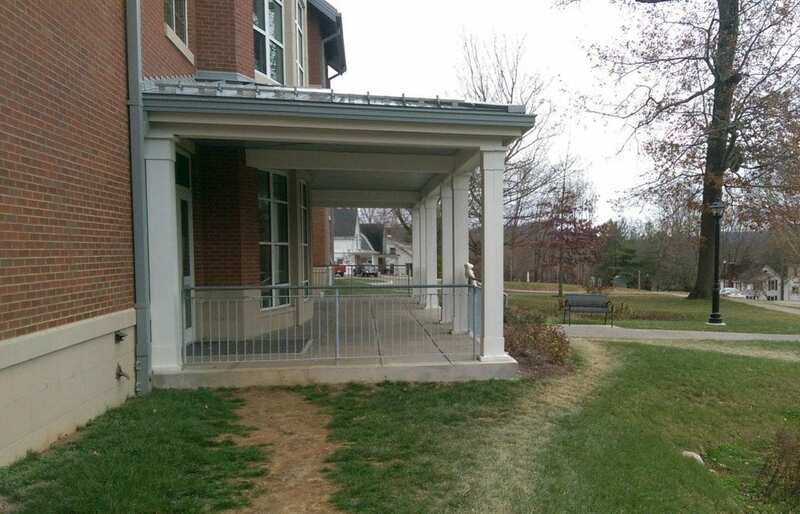 In fact, this unnecessary railing was placed so low, it seems like it could cause more harm than good! 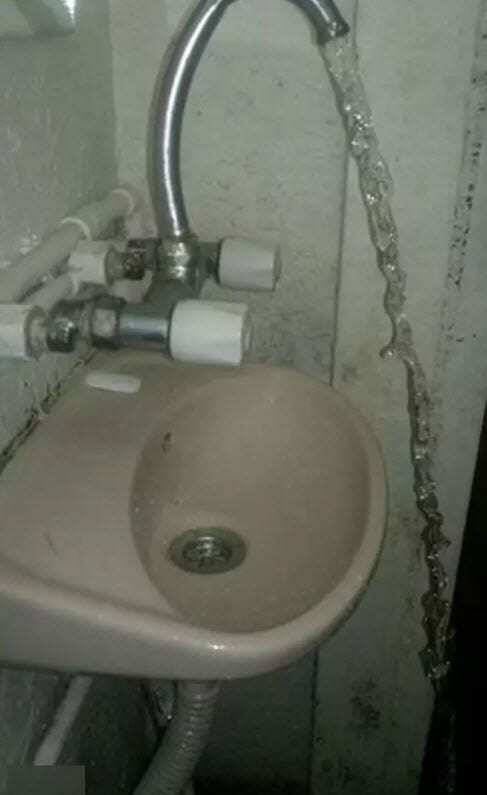 It appears as if the faucet for this sink has been replaced, but the new version seems like a little bit too much. 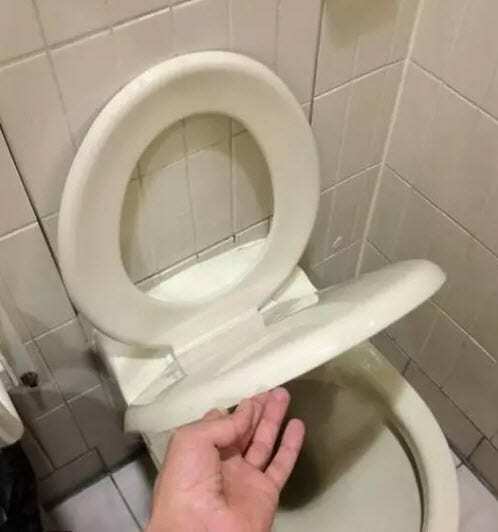 Well, at least it works – but the water won’t end up where it’s supposed to. 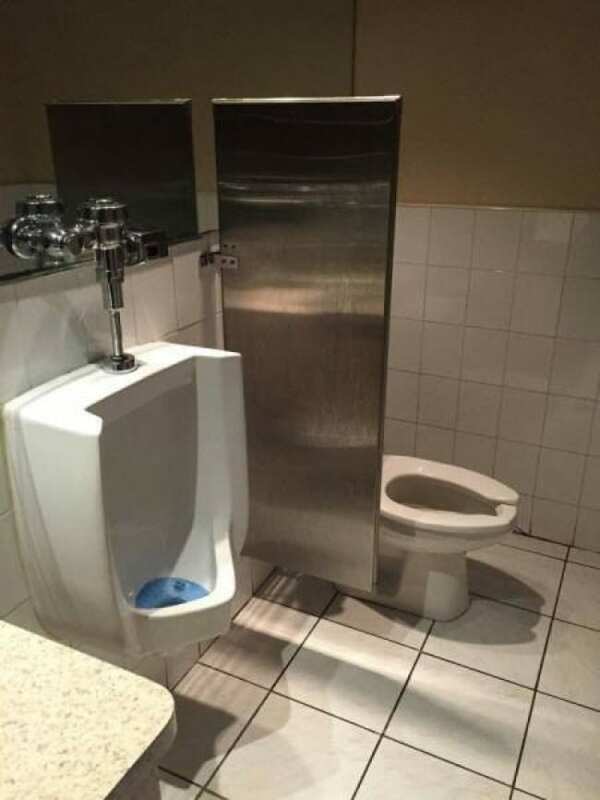 Design mistakes are quickly made! 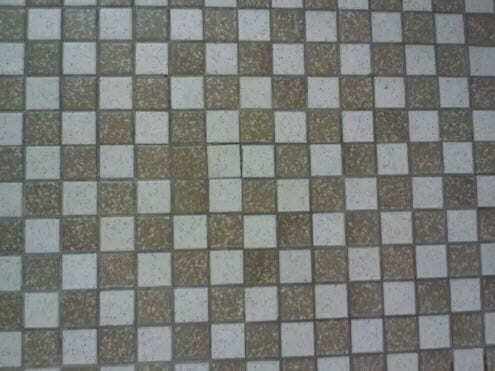 Luckily, this tile pattern mistake is a lot harder to spot than some other misaligned tiles out there, but once you see it, you can’t unsee it. Design mistakes like these can only be described as a nightmare for perfectionists. Well, unless you have some kind of telekinesis superpower or are secretly a Jedi who can use the force. 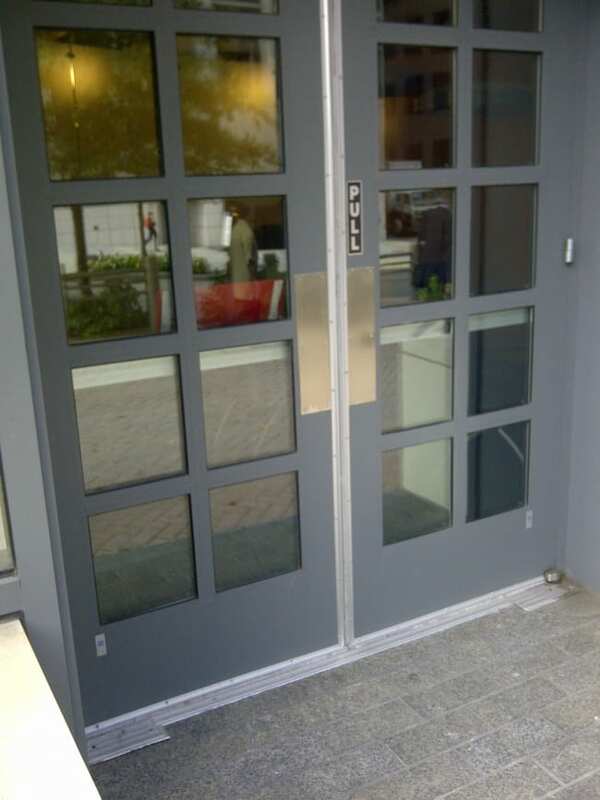 Feel free to try pulling this door, but that probably would work a lot better if there was a handle to grab. Hopefully pushing will work! 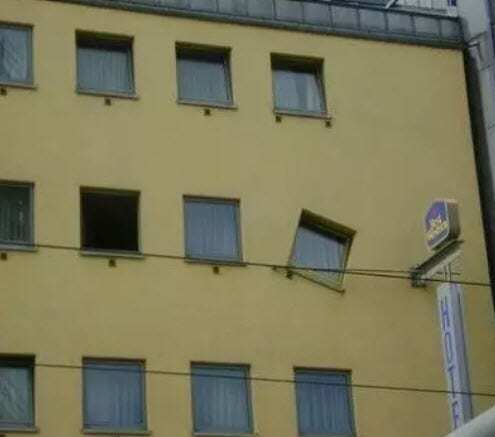 People can’t seem to decide whether this tilted window was placed intentionally, or looks this way as a design statement or even a ‘work of art’. Either way, the angled glass is definitely a sight to behold. Some things look so immensely stupid, but people might argue that when stupid things actually work, it’s genius. 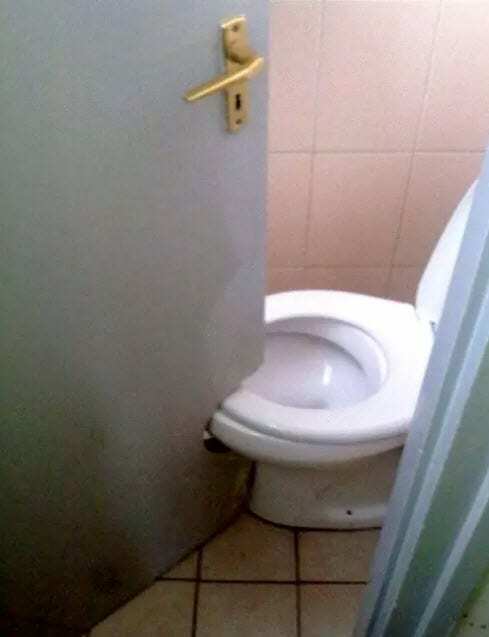 Feel free to decide for yourself in the following picture, where a part of the door is simply cut out to make sure there’s room for the toilet. In order to get inside this funny-looking perch, you’ll have to bring your own ladder or build a staircase. 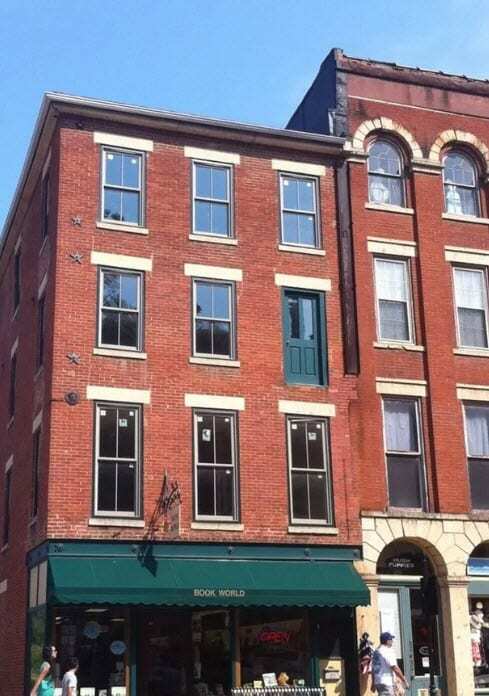 Or if you’re feeling a bit adventurous, you could just climb inside the small window at the bottom and see if you can make your way to the upper floor. As we all know, there are two ways to hang toilet paper: over and under. 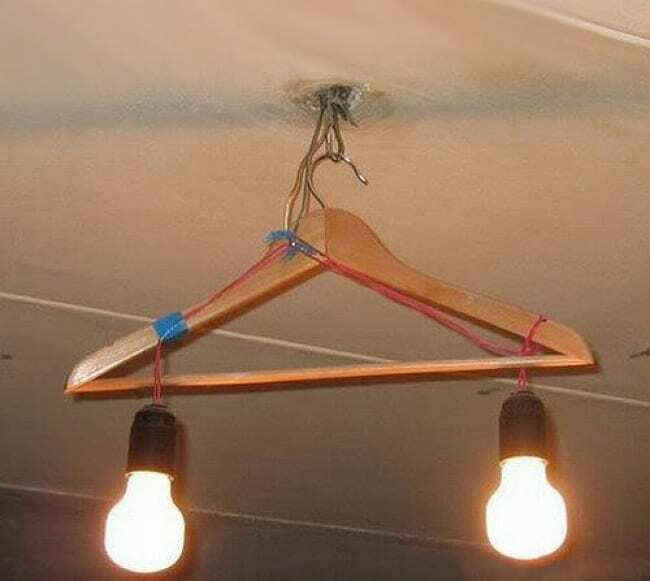 The discussion of which one is the correct way to hang is definitely still ongoing, although most people seem to agree that the correct way is ‘over’. 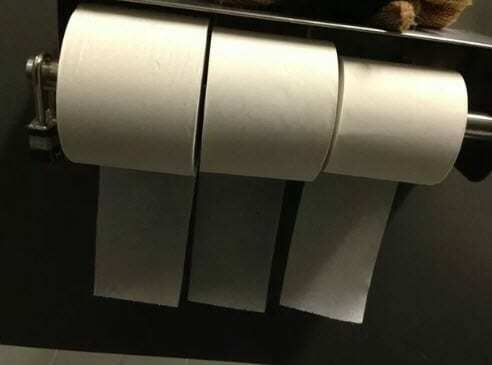 This triple set of toilet paper rolls orientated in the ‘wrong’ way is the pure definition of a home design fail! At least, kind of. 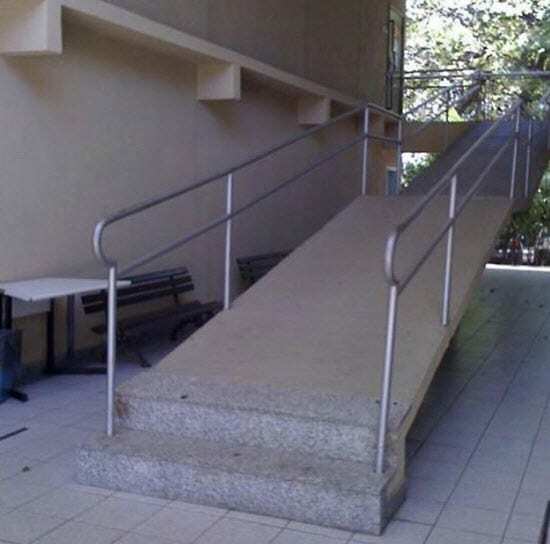 This ramp that’s specifically meant for wheelchair users isn’t exactly going to be of much use with these two steps at the bottom. 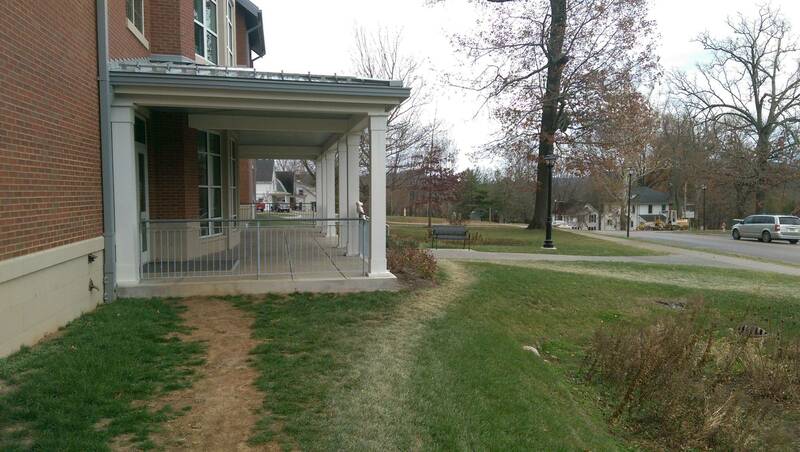 A good example of purposely inaccessible design or just a huge fail? 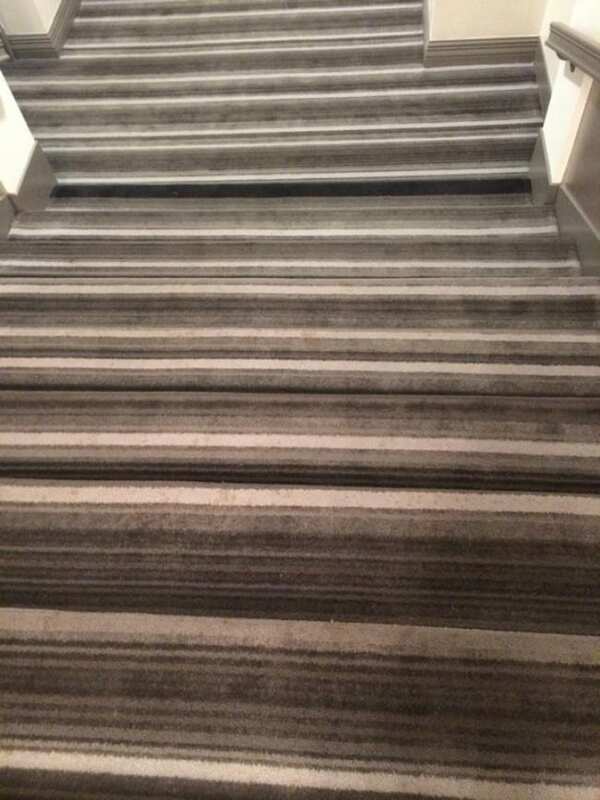 Whether it’s because these people ran out of carpet or just because they thought it’d be funny, these stairs are dangerously sneaky. 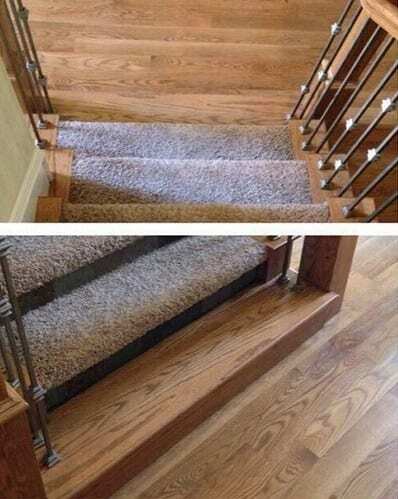 The wood on the last step is indistinguishable from the floor, so watch your step! Reaching for the toilet paper might be somewhat of an issue in the bathroom. 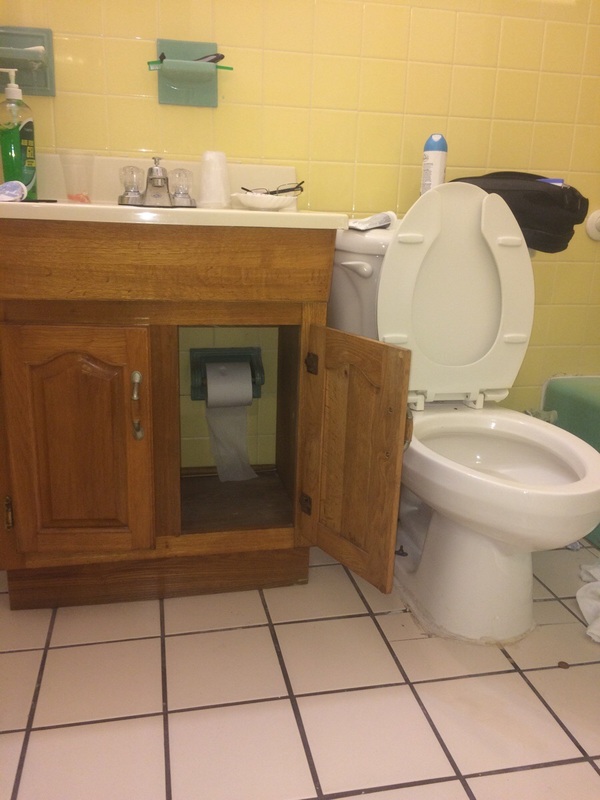 The toilet paper holder is neatly hidden in this cabinet, but trying to grab it while sitting on the toilet might just prove to be an interesting challenge. 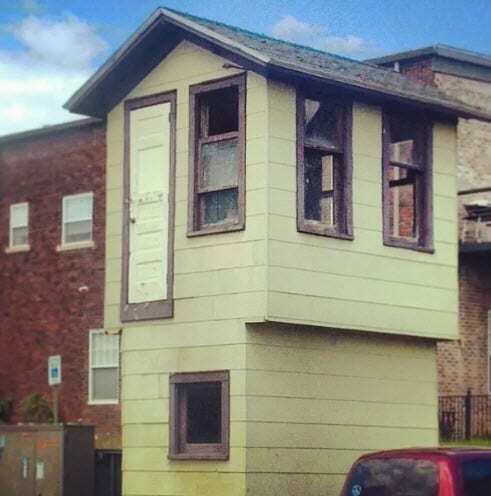 Design fails can be either huge or small, and this uncloseable door will certainly be the cause of some frustration for these homeowners. 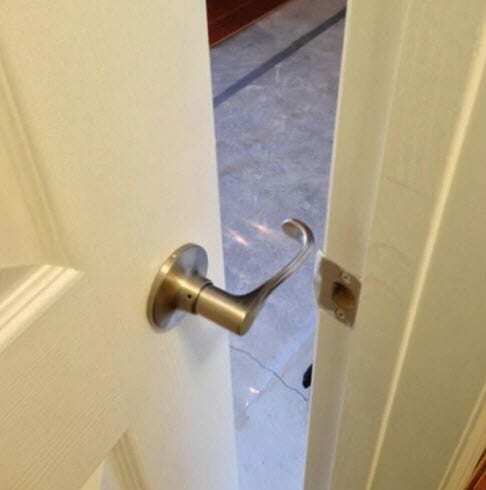 Tip: door handles should always be oriented correctly as you’ll have plenty of trouble if they’re installed the other way around. 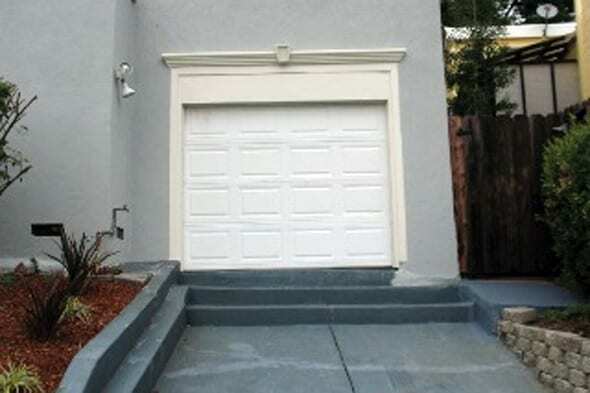 Some designers clearly have issues figuring out how a garage works. Placing stairs directly in front of the gate sounds like a disaster to get your car in and out. Driving with a bit of speed might help solve that issue, however. 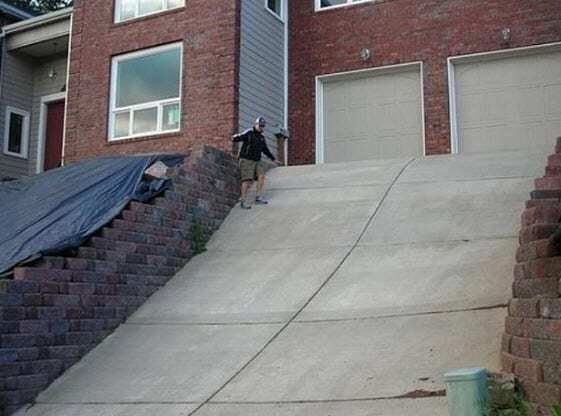 People who are scared of heights probably shouldn’t attempt to drive this massive driveway with a steep that’s probably higher than plenty of mountains… That’s doesn’t look like a driveway, that looks like a huge slide for cars! This room is a kitchen and a washing room at the same time! With a stove, a sink, cupboards and a washing machine, this area of the house is multifunctional and versatile for sure. Unfortunately, though, you’ll have to move the electrical stove/oven in order to do the laundry. You can’t have it all!